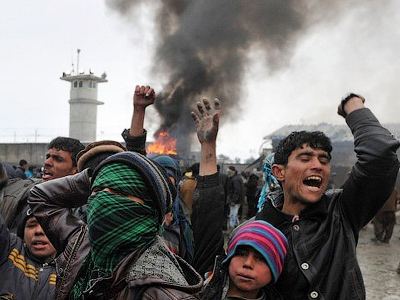 Thousands of Afghans have stormed a UN compound in Kunduz province, as protests over the recent Koran burning in Bagram rage throughout Afghanistan. By the fifth day of anti-American demonstrations about 30 have been killed and hundreds injured. Protesters’ attempts to get inside the UN building have left at least three people killed and around 50 injured. According to AFP, police opened fire at the protesters. Part of a UN compound in the Afghan city of Kunduz has been set alight, the BBC reported. Meanwhile UN representatives there reported violence all around the city. Protesters set shops ablaze, along with government buildings and cars. Saturday’s violence around the country has added more victims to the 25 killed in the first four days of protests. In the capital Kabul two NATO advisors have been killed during a shooting inside the Interior Ministry. The Taliban have issued a statement claiming they were responsible for the killings. A Taliban representative said the shootings had been carried out in response to the Koran-burning incident. 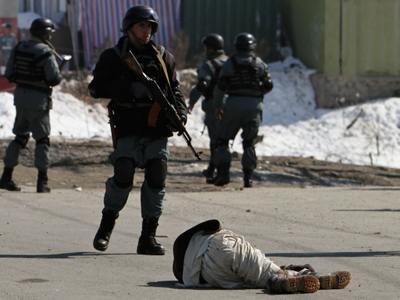 A shooting also took place in Logar province south of Kabul after hundreds of angry protesters clashed with security forces. Two people were wounded, reports Reuters. 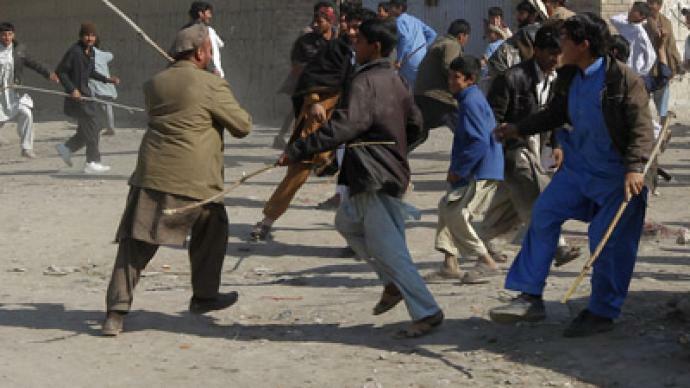 In Laghman province, hundreds of protesters tried to attack the governor's house and office. At least 15 people have been injured. 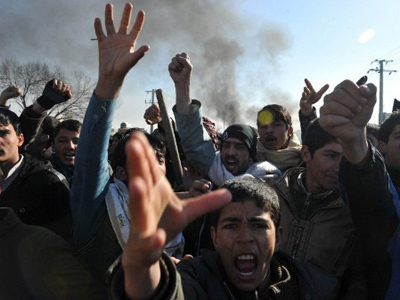 Protests erupted in several other provinces on Saturday as security forces remained on high alert. 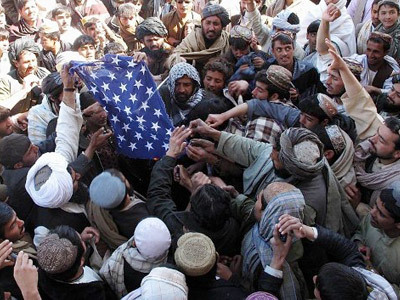 The Koran burning has inflamed anti-Western sentiment already smoldering over abuses by US-led foreign troops. The incident took place on Monday at the Bagram military base. The Koran and other sacred texts were seized from arrested Afghans and burnt by accident, insists Gen. John Allen, commander of NATO's International Security Assistance Force. He told media the texts had been confiscated from detainee center's library as they seemed to have "extremist inscriptions" on some of the pages. US troops suspected that those books were being used in order to “facilitate extremist communications." 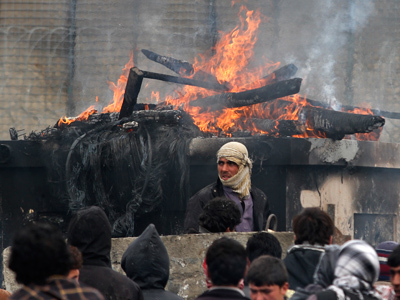 Gen. Allen stressed that the materials were gathered for disposal and inadvertently given to troops for burning. 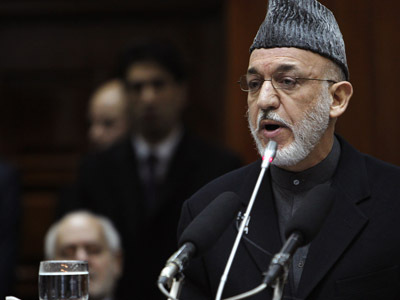 Earlier on Thursday, President Obama sent an official letter of apology to President Karzai. "I convey my deepest sympathies and ask you and the people to accept my deepest apologies,” the letter read. NATO officials made their apologies immediately after the incident, but this did not prevent riots breaking out the country. ­After the Koran-burning incident not only ordinary Afghans but also US-trained soldiers and policemen are protesting against the US military presence in the country, Ahmed Quraishi, the president of the Paknationalists Forum, told RT. He believes that this development is “tremendously important” from a strategic point of view.